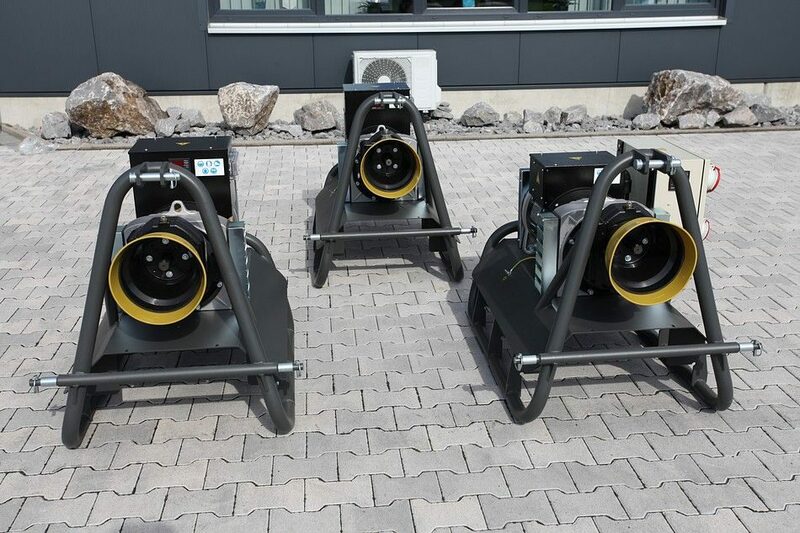 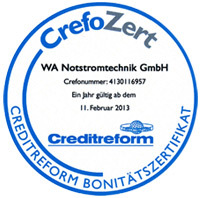 WA Notstromtechnik GmbH is a company with extensive experience and a high degree of professional competence when it comes to power generators and gensets for a wide range of applications. 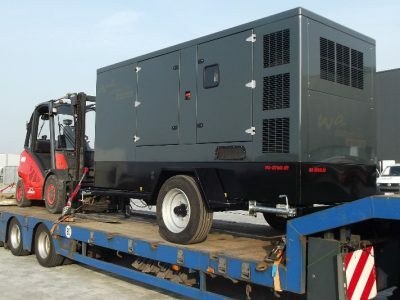 We plan, sell, supply, assemble, repair and maintain power generators for grid replacement operation and for all conceivable requirements, for mains parallel operation, peak load cover and for the control energy (minutes reserve). 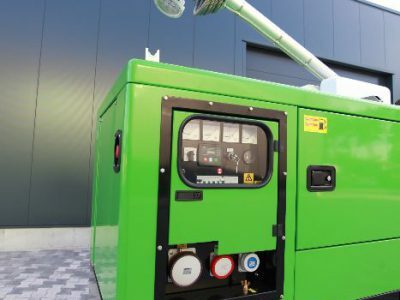 When selecting a power generator, the performance and quality of the device play an important role. 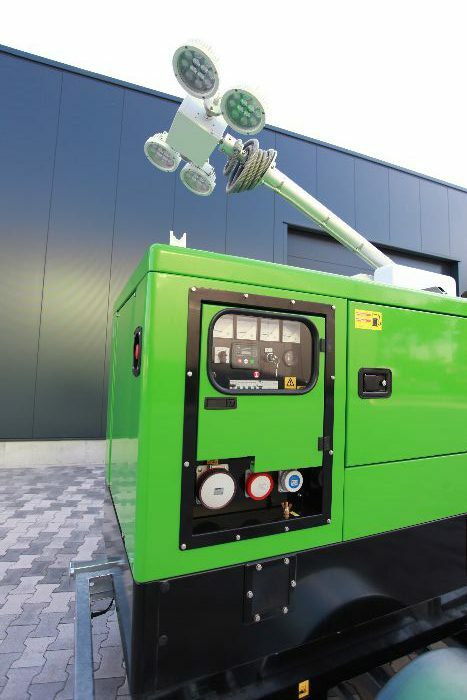 In addition, it is important that the power generator is optimally matched to the electrical loads to be supplied. 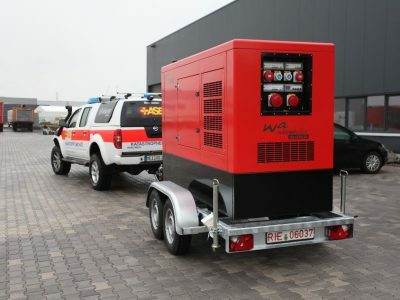 With a large and varied range of power generators from different brands, we offer you the possibility to make your individual selection and to purchase exactly the device that meets your requirements – from small, portable power generators, PTO generators, floodlight units, power generators in containers to large, permanently installed power supply systems. 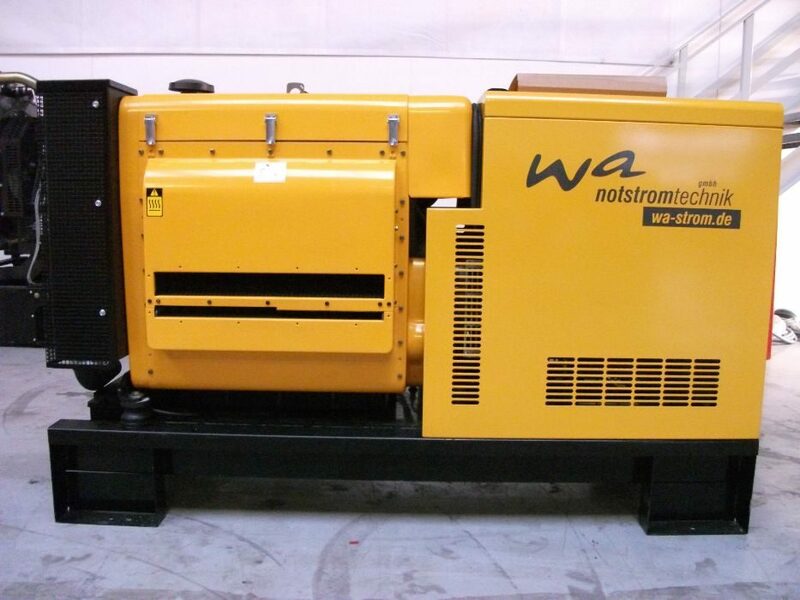 Every WA power generator can be customized according to your specific needs. 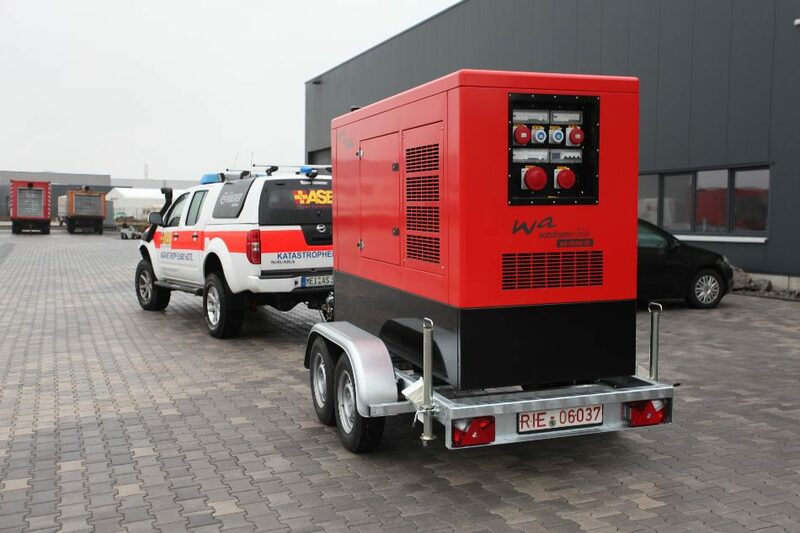 We will assist you in finding the right emergency generator for your business or mobile use. 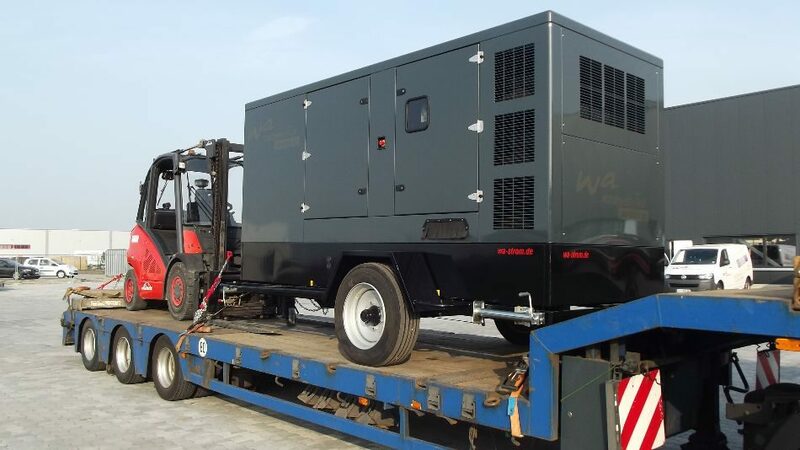 Customized power generator, two power units (twin pack) with a continuous power of 300 KW each work 24 hours in parallel operation, extremely quiet (55 db “A” measured under full load in 7 meters) supplied by our customer in an IVECO truck chassis. 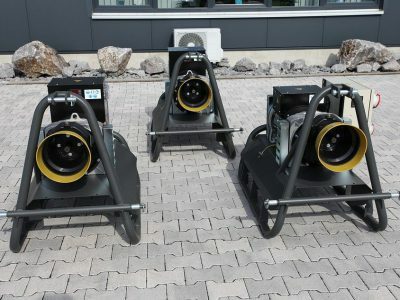 The base chassis can be placed by them or by us. 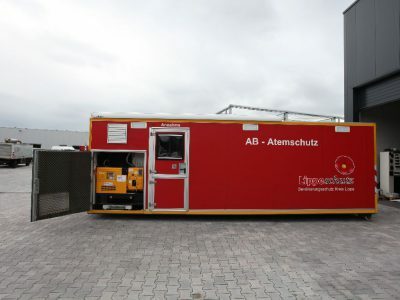 On request, the power generators can also be built on trailers. 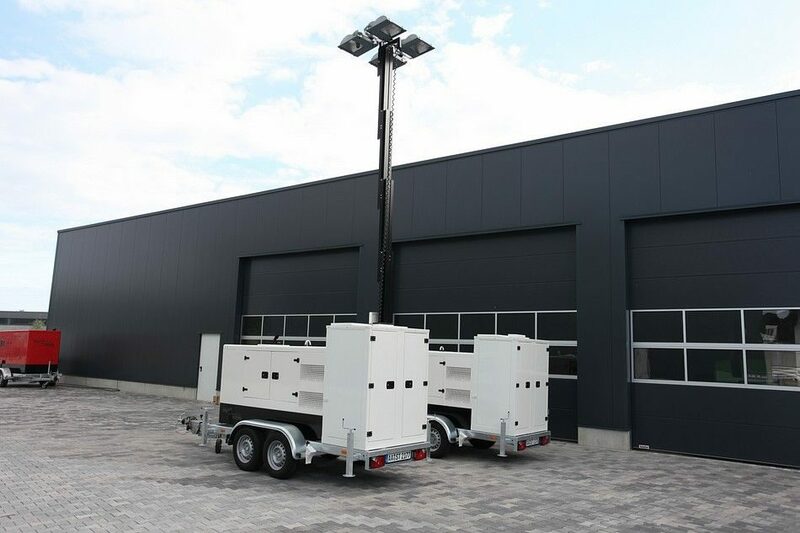 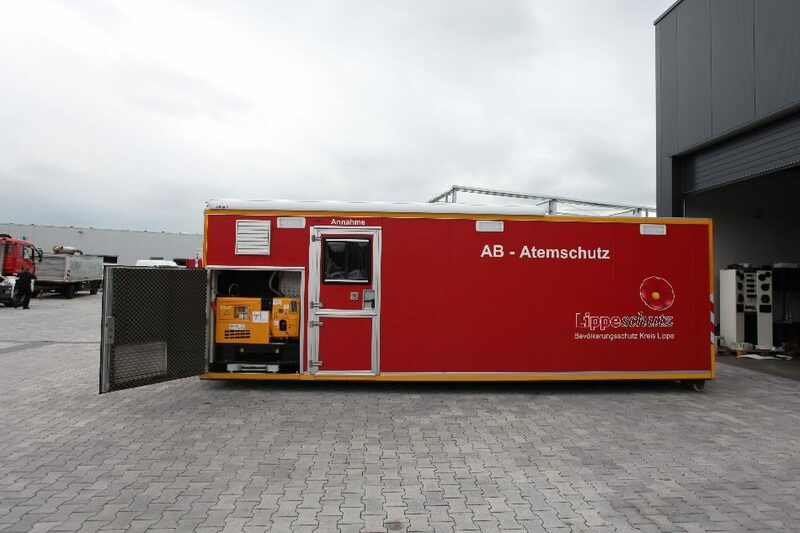 For the power supply at the shooting location we offer particularly low-noise, mobile diesel three-phase power units with powers of 20 to 180 kVA. 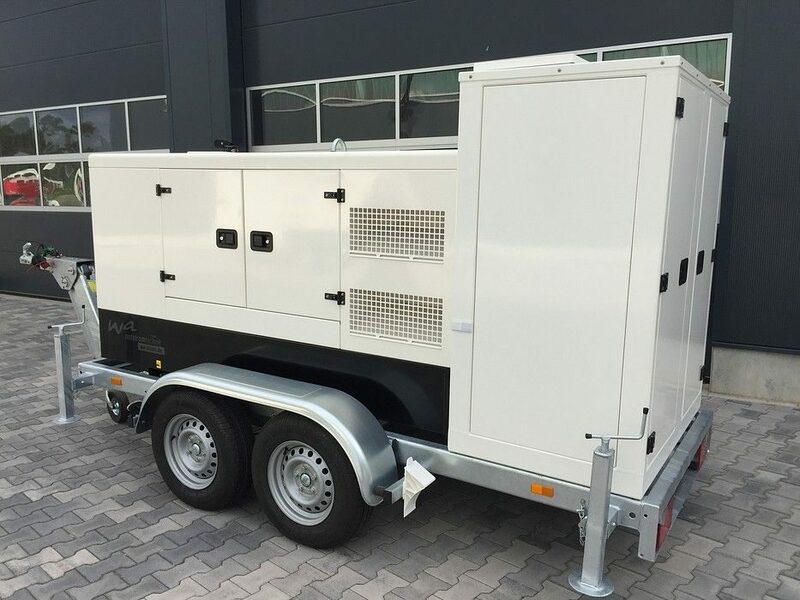 These power generators have sound insulation values of less than 48 dB (A) at a distance of 7 m.
For the protection of events and TV transmissions of all kinds, we can also offer Twinpack power sets from 50 to 1,250 kVA. 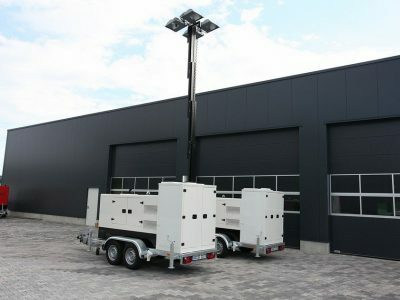 Our power units are very quiet, between 50 and 55 dB (A) at 7 m distance, and electronically controlled (flicker-free light).